What Hi-Fi? Sound and Vision heads to Autosport International this weekend | What Hi-Fi? The show is open to the public this Saturday and Sunday at the NEC, and alongside all the 'cars and stars', there will be a bubble of hi-fi and home cinema at the What Hi-Fi? Sound and Vision stand. You'll be able to see a selection of our award-winners on display alongside a GT race car supplied by Hunter Abbott – read more about him here. There will also be members of the review team on the stand ready and willing to answer all your technical questions (on AV, not cars). Autosport International opens on the 14th for two trade days, and then opens to the public on Saturday 16th and Sunday 17th. 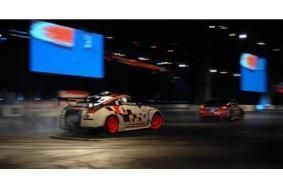 For all the information, head over to the Autosport International website.